The isle of Anglesey is great for cycling, not too hilly, with fantastic views over to Snowdonia. 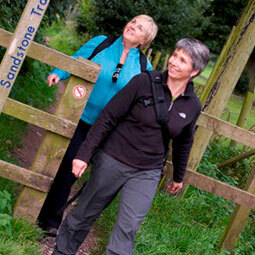 This circular tour explores the inland areas and varied coast, much of it an Area of Outstanding Natural Beauty from high cliffs at South Stack, to wonderful estuaries, the beautiful Menai Strait, and long sandy beaches like Newborough and Red Wharf Bay. 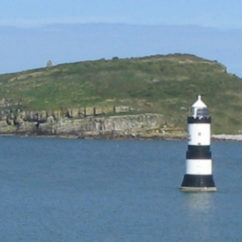 Visit lighthouses, many ancient monuments, Beaumaris Castle, Penmon Priory and a working watermill. 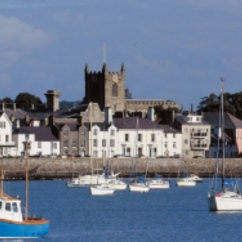 Stop off in some of the lovely towns like Beaumaris, Cemaes and Menai Bridge. There is plenty of fine local produce on the island and plenty of lovely places to eat and drink. Day 2 – Cycle to into Trearddur Bay and then on to the sea again at Rhoscolyn, passing lovely White Eagle pub.From here pass the inland sea and head inland and then back to Rhosneigr with its sandy, popular surfing beach, then on to Aberffraw for the night. Day 3 – From Abberfraw, to Llangwyfan, with its church on a small island which you can walk to at low tide and then back through Aberffaw and on to Maltraeth. From here Cycle down to Newborough beach with an option to leave the bikes and walk along the beach to the lovely Llanddwyn island which you can visit if it’s not high tide. 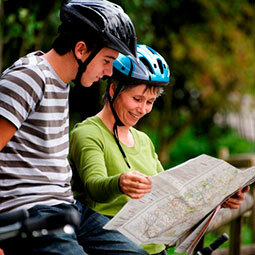 From here cycle to your overnight accommodation at a comfortable B & B near Dwyran which has a licensed restaurant. 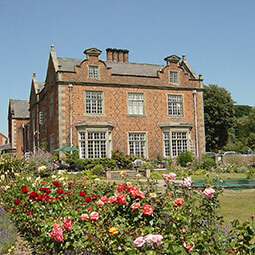 Or eat at the lovely Maram Grass Cafe, (which this year made the Good Food Guide) a short cycle ride or taxi ride. Day 4 – Cycle to Plas Newydd, a national Trust House overlooking the Menai Strait. Continue onto Menai Bridge and Beaumaris. Beaumaris is a lovely seaside town, with pier, Castle, old Court House and Goal, boat trips to Puffin island -a rest day can be added here. Day 5 – Cycle to Penmon Point and lighthouse, past Penmon Priory and Dovecot. Then head to Llandonna, (you can detour to Llandonna beach here – but its a very steep hill back up!) and the other side of Red Wharf Bay with the lovely Ship Inn looking over the bay. From here to Moelfre for the night. 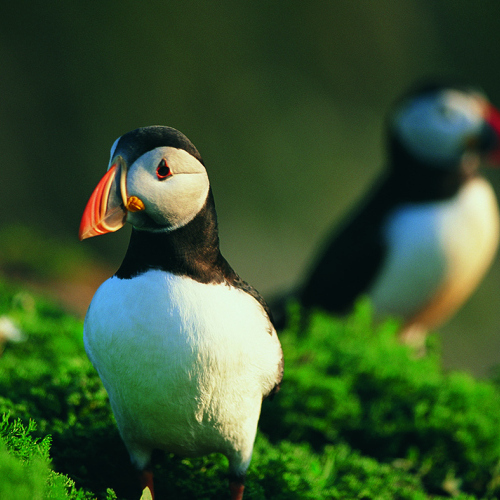 Day 6 – Cycle into Moelfre village, visit the Lifeboat station, then head inland towards Llyn Alaw. From here its back to the coast near Point Lynas, and on to the copper port of Amwlch with its visitor centre and cafe. From here its a short cycle to Cemaes for the night. 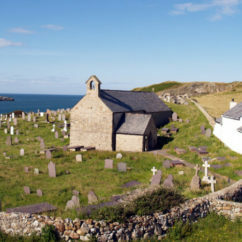 Visit the pretty church of Llanbadrig up on the cliff overlooking the sea, just on the edge of Cemaes. Day 7 – From Cemaes head to Cemlyn Bay and Nature Reserve and on to Church Bay and Swtan (a restored example of a 17 century thatched cottage. Another nice cafe b y the beach. From here the route heads inland to Llynnon Mill a working water mill, before heading back to Holyhead and back to your starting point near Trearddur where we meet you with your luggage and to collect the bikes. Day 1 – Arrive at accommodation at Trearddur Bay. Day 2 – We meet you in the morning to deliver bikes and adjust them to make sure they are comfortable. Cycle to Rhoscolyn, passing lovely White Eagle pub.From here pass the inland sea and head inland and then back to Rhosneigr with its sandy, popular surfing beach. Cycle inland and then back to the sea at Abberfraw, with an option to detour to Llangwyfan, with its church on a small island which you can walk to at low tide. 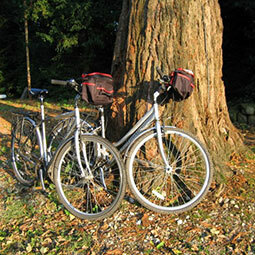 From Abberfraw cycle to your overnight accommodation at a nice B & B near Dwyran. Day 3 – Cycle to Maltraeth estuary, along the ‘cob’ to Newborough Forest where you can detour into the forest and down to the sea, and Llanwyddn island. Or continue past one of our favourite cafes, the Maram Grass and on to Plas Newydd, a national Trust House overlooking the Menai Strait. Continue onto Menai Bridge and Beaumaris. 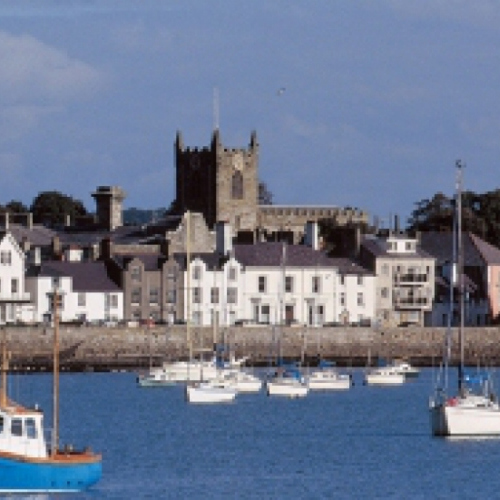 Beaumaris is a lovely seaside town, with pier, Castle, old Court House and Goal, boat trips to Puffin island -a rest day can be added here. 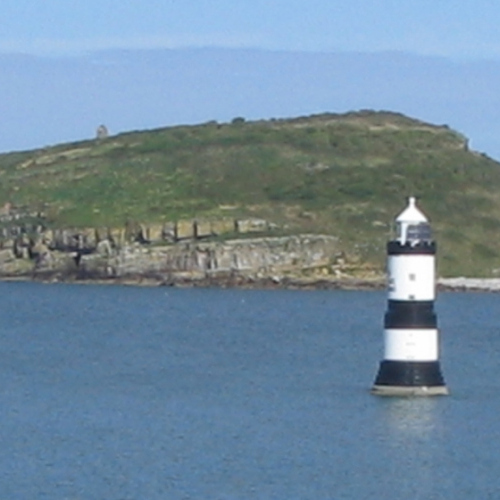 Day 4 – Cycle to Penmon Point and lighthouse, past Penmon Priory and Dovecot. Then head to Llandonna, (you can detour to Llandonna beach here – but its a very steep hill back up!). At Pentraeth head inland to Llangefni and the Oriel Mon gallery and cafe, and then to Llyn Cefni. Then back to the sea at Red Wharf Bay with the lovely Ship Inn looking over the bay. From here to Moelfre for the night. Day 5 – Cycle into Moelfre village, visit the Lifeboat station, then head inland towards Llyn Alaw. From here its back to the coast near Point Lynas, and on to the copper port of Amwlch with its visitor centre and cafe. From here its a short cycle to Cemaes for the night. 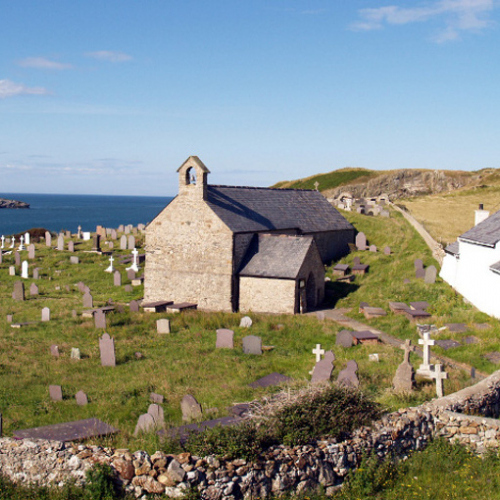 Visit the pretty church of Llanbadrig up on the cliff overlooking the sea, just on the edge of Cemaes. Day 6 – From Cemaes head to Cemlyn Bay and Nature Reserve and on to Church Bay and Swtan (a restored example of a 17 century thatched cottage. Another nice cafe b y the beach. From here the route heads inland to Llynnon Mill a working water mill, before heading back to Holyhead, past South Stack lighthouse and back to your starting point near Trearddur where we meet you with your luggage and to collect the bikes.